If you are reading this in the UK – still home to around half of IChemE’s members – I’m sure you are aware that a General Election is taking place today. IChemE is politically neutral and it adopts an independent position on issues that are viewed as partisan. However, the institution believes that political decisions should be evidence-based and supported by the strongest possible input from the engineering community. That’s why it’s important to engage with politicians and to express a view. So for today’s blog post, I’ve asked IChemE CEO, Dr David Brown, to share his thoughts on the need for chemical engineers to influence policymakers, not only in the UK but around the world. Pollsters are predicting that this UK general election will be one of the closest in living memory. In the latest edition of tce (May 2015) I set out my election wish-list for the new UK government covering areas such as education, immigration and climate change. Whatever the outcome of the election, the government that emerges will undoubtedly have an impact on many areas of the UK economy that rely on chemical and process engineers. That’s why we need to engage in debates on public policy issues. One key area where we can make a difference is in the field of energy policy. 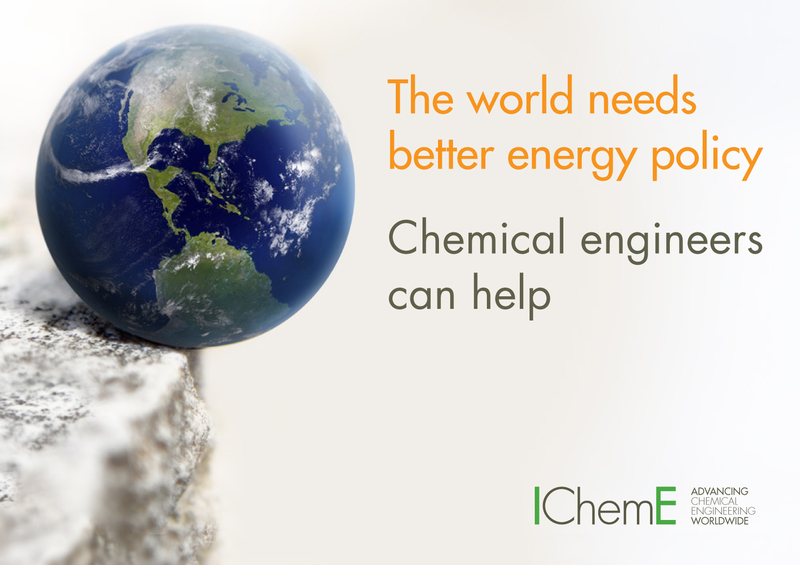 Chemical engineers work across the energy space: from developing new sources of energy; moving it to where it’s needed; improving the efficiency of the processes that use it; to mitigating the environmental effects of its consumption. The threat presented by unchecked greenhouse gas emissions and potentially catastrophic climate change is a clear and present danger. To avoid catastrophic climate change, humanity must embrace a new industrial revolution, transitioning from a low efficiency, high carbon energy system to one that is high efficiency and low carbon. UK members might reflect that since the old carbon-intensive industrial economy was born in the UK, it’d be rather fitting for the country to take a lead in creating a new, more sustainable economy. Chemical engineers are playing a central role in the transition, but they need to become more involved in the energy policy-making process. Our systems-thinking approach has a lot to offer in terms of the energy challenges of the 21st century. In recognition of this, IChemE launched its Energy Centre in March. The centre brings chemical engineers together to formulate and communicate a coherent view on energy policy matters, and acts as a credible advocate for urgent action on the energy challenge. The centre will provide evidence-based insight and advice to policy makers on the role chemical and process engineers play in reducing energy demand, and in the development of low carbon technologies and processes. 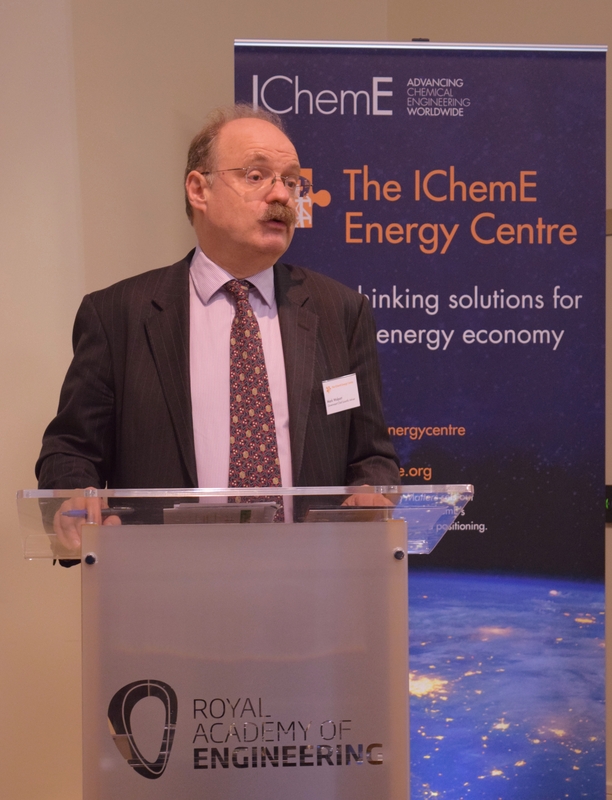 Speaking at the launch of the centre, Professor Sir Mark Walport, Chief Scientific Adviser to the UK Government, called on chemical engineers to engage with policymakers and politicians. I endorse Sir Mark’s call and given that chemical engineers understand energy systems better than most, our grandchildren will not easily forgive us if we fail to put that knowledge and understanding to good use. But it’s not only in energy policy that chemical engineers can advise decision makers. Chemical Engineering Matters sets out the global challenges. Sound chemical engineering principles can be applied to solve problems ranging from ensuring that everyone has access to clean water through to global food security. IChemE’s policy team has conducted a brief analysis of the manifestos of the major UK political parties in a few key areas: energy and climate change; manufacturing; food; and water. So, this is my challenge to the chemical and process engineers reading this blog. Wherever you are in the world, get involved in politics.This could include: contacting your elected representatives; writing to the press; submitting a response to a government consultation; or assisting IChemE develop policy position Green Papers. We have a vital role to play and we need to make our voice heard. It is sometimes said that politics is too important to be left to politicians. IChemE supports and encourages those members who seek to connect with their elected representatives and/or work within their local or national political systems. Chemical engineering needs good politics and politics needs good chemical engineers. Don’t forget to vote today. The polls close at 10pm. Gents, I voted last Thursday in possibly the most the complex set of votes in the UK since we had the General Election, County Council, Parish Council and a Neighbourhood Plan referendum. As ever the person that I voted for did not get elected. In 40+ years of voting in General Elections the person I voted for has never been elected due the First Past the Post system. This means that my vote has never counted and unless I move to a marginal seat or Scotland and vote SNP my vote is unlikely to ever count. However, I shall continue to vote in the honour of all those who fought and died to get the vote. The County Councillor I voted for did get elected but then I voted for the person not the party. No, sir. IChemE (like other learned professional bodies), is most definitely not independent nor politically un-biased. The Institute has for the last few years taken an extreme stance on the highly controversial subject of climate change in general, AGW in particular and carbon based energy solutions. There are many, many, of us chem engrs (as often to be found expressing our disappointment on the “Bishop Hill” blog) who hold exactly the opposite views. That is, there is no shred of forensic quality evidence that small increases to the already tiny concentrations of carbon dioxide in the atmosphere have nothing other than a benign effect; there is no consistent evidence of global temperature increases; there are no discernible sea level changes in any coastal location; polar ice caps are as great in extent and thickness as they have ever been; climate events are no more extreme nor frequent than before. Statistical records for all these and many more similar data are to be found on Paul Homewood’s excellent blog “notalotofpeopleknowthat” as well as the long established WUWT blog and climate audit – the father of them all. In short we, our members and our executive, are supporting a headlong dash into de-industrialisation, energy poverty and a damaged future for the following generations.